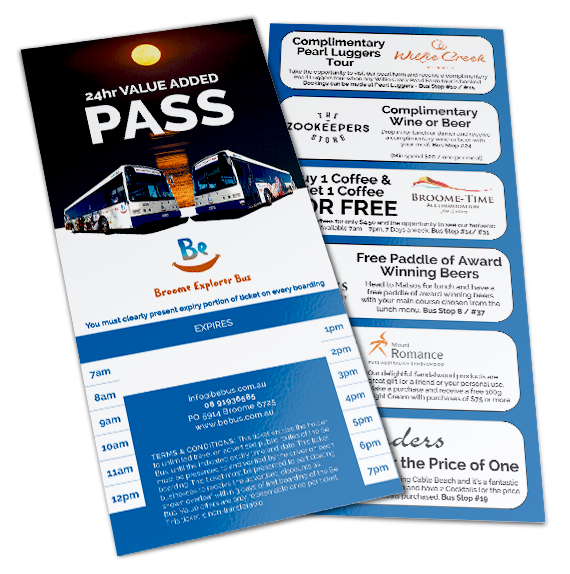 The Cruise Ship Value Added Pass allows for unlimited travel on the routes of the Broome Explorer Bus. 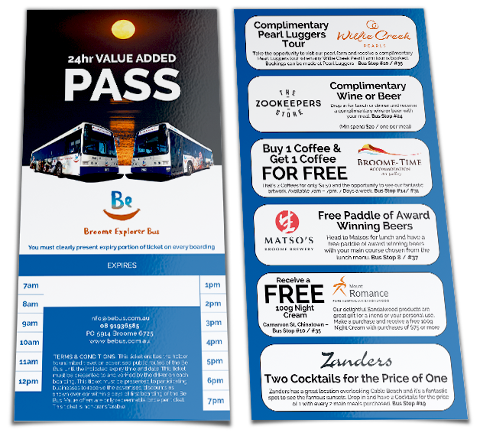 It also provides a range of exclusive offers to allow you to make the most of your time in Broome. On the Broome Explorer Bus children under 18 travel for free with an accompanying adult so the pass really is great value.